100 Canadian fashionistas to try a few of the following items for free, and to share their TWIK look on social media! Offer open to Canadian residents only. Sign up by October 1, 2017. Selected members will be contacted by email the week of October 2, 2017. For extra consideration, help share this opportunity on social media and remember to include #myTwikLook. 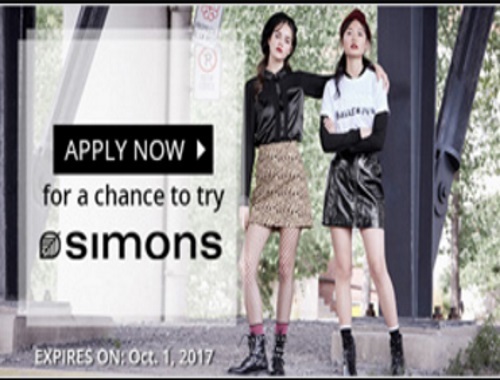 In the event that you may be selected for this opportunity, the Simons team will send you a $100 e-giftcard to purchase your choice of items from a specific list. You will have to use this e-giftcard to purchase the items yourself on their website, including taxes.